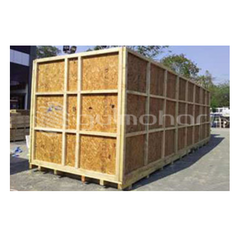 We are a highly reliable manufacturer of export grade ISPM15 compliant seaworthy export wooden packaging using plywood as well as Pinewood for export packaging purposes. We strictly follow & adhere to all the standards like ISPM15 Compliance & IPPC standards for export seaworthy packaging to assure that your products go through zero defect & zero effects as it is to end customer. 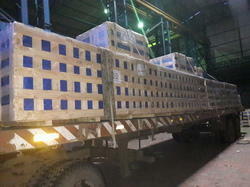 Keeping our synchronization with the development taking place in this industry, we are engrossed in delivering a broad range of Seaworthy Packaging Box. Gulmohar Pack-Tech India Pvt. Ltd.
Kesarbox Trade &Services Pvt. Ltd.